Alien Entity társasjáték - Magyarország társasjáték keresője! A társasjáték érték! Az Alien Entity egy nagyszerű társasjáték, 3 - 5 játékos részére, az átlagos játékidő rövid, csak 10 perc. A társast, 13 éves kortól ajánljuk kipróbálni. Kooperatív jellegű, a játékmenet erősen épít a szövetségek, a pakli tervezés és a játékos kiiktatás mechanizmusokra. 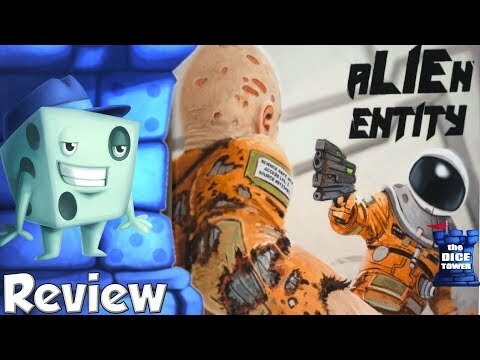 In Alien Entity, you play as a group of stranded planetary researchers trying to escape the hostile world they have been exploring. An unknown member of the team has been infected by an alien entity and will sabotage and infect the researchers as they try and build a satellite array to contact mission control. Will you survive? Are your friends infected by an alien entity? Can you contact mission control before its too late? Grab some friends and join the paranoia. 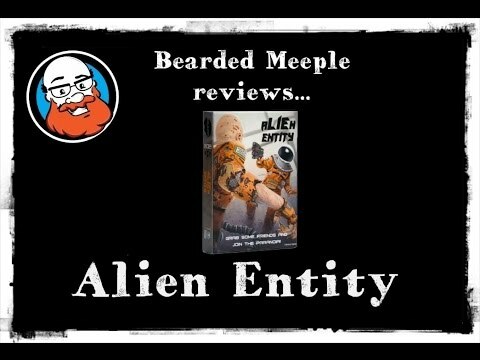 Alien Entity is meant to be played multiple times. Players are passed cards face down to determine who is playing as a human or an alien. The humans win if the satellite array is built or the alien gets shot. The alien wins if it passes out infection cards to all of the humans. After each game ends, points are calculated and another game starts with a new random person as the Alien. Each player draws cards from a central pile and takes turns playing and passing cards. Choose wisely because you will only be able to play one card per turn and equipment such as body armor only lasts until your next turn.You may pass cards face down to other players to either help them or hurt their progress. If you are a human you may want to pass parts of the satellite array to another human. If you are an alien you can pass infection cards to other players to get them on your side. Games usually last between five and ten minutes. After each game points are given depending on the outcome of the game. 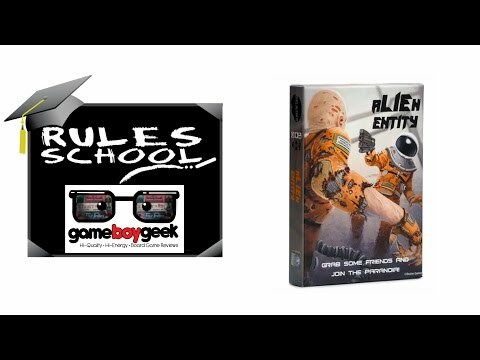 The cards are then re-shuffled and a new alien player is secretly chosen. You can play until a player amasses 7 points or you can just play for fun indefinitely.